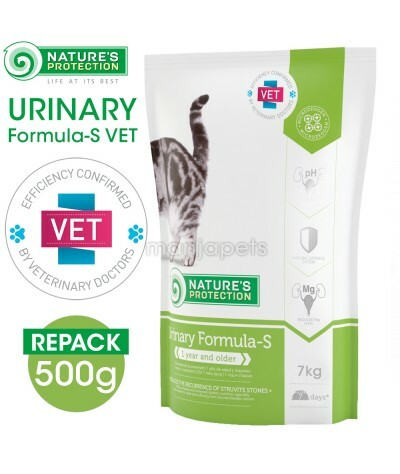 Specially formulated for adult cats suffering from struvite bladder stones. The diet offers all nutritional advantages of the regular Nature’s Protection products to support the cat’s overall wellbeing. 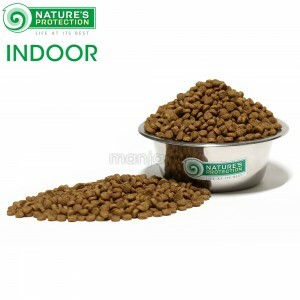 Helps strengthen the natural defense systems to support the cat’s special needs. 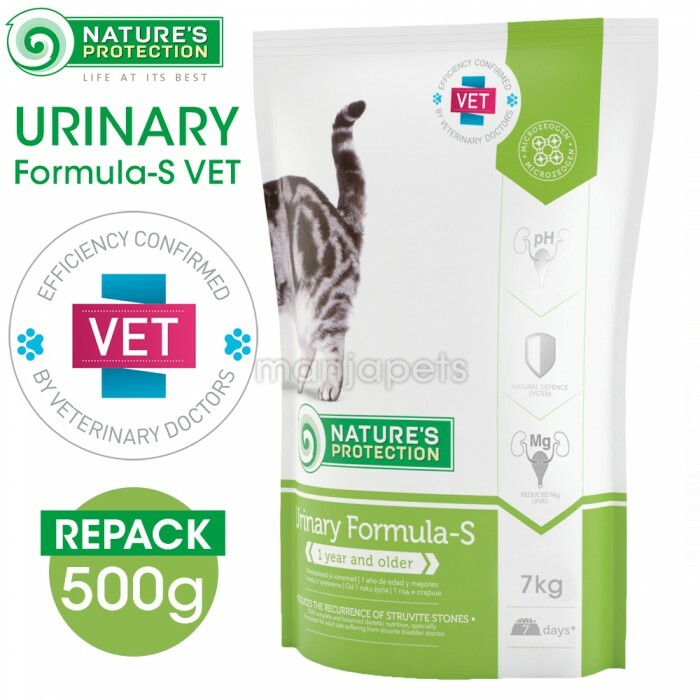 100% complete and balanced dietetic nutrition, specially formulated for adult cats suffering from struvite bladder stones. Dynamic micronized clinoptilolite actively stimulates intestinal health and nutrient absorption. Captures toxins produced by bacteria in the digestive tract and stimulates mobility by lubricating the joints. A balanced content of omega 6 and 3 fatty acids, along with a natural antioxidant system help maintain the natural defence systems of the body. 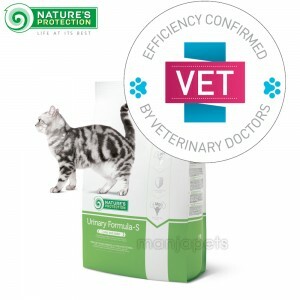 Properly selected amounts of minerals can help to maintain and to control urine pH. Reduced level of magnesium which is the main component of struvite stones. Balanced minerals' level helps to avoid kidney stone development and supports healthy kidney function. poultry meat meal (chicken 83%, turkey 12%, duck 5%), rice, maize, maize gluten, poultry fat, fish meal, chicken liver hydrolysate, sugar beet pulp, dried eggs, cellulose, coconut oil, dynamic micronized clinoptilolite (1%), brewer’s yeast, chicory extract, potassium sulphate, yucca extract. Nutritional additives: vitamin A (3a672a) – 25000 IU, vitamin D3 (E671) – 1876 IU, vitamin E (3a700) – 688 mg, biotin (3a880) – 1,9 mg, ferrous sulphate monohydrate (E1) – 62,5 mg, calcium iodate anhydrous (3b202) – 1,88 mg, cupric sulphate pentahydrate (E4) – 6,25 mg, manganous sulphate monohydrate (E5) – 25 mg, zinc sulphate monohydrate (3b605) – 144 mg, sodium selenite (E8) – 0,13 mg, taurine (3a370) – 1742 mg, L-carnitine (3a910) – 50 mg, DL-methionine (3c301) – 2500 mg. Serve the food dry. When you feed your cat Nature’s Protection for the first time, gradually introduce it in its diet over a period of 3 days. Feeding amounts: see table. Your cat may eat more or less depending on age and temperament. Clean, fresh water should be available at all times.